Do You Slow Down For Speed Cameras? I was driving along the freeway a few days ago when all the cars around me braked abruptly. I must have looked like I’d been fired from a cannon as I shot out in front of everyone! What caused the sudden-slow down? There was a roadside speed camera and everyone around me was having a panic that maybe they were speeding. Every time I drive past a speed camera this happens; cars around me suddenly slow down. Not because they are speeding, but because the drivers don’t know if they are speeding or not. As a precaution they have a little panic attack with the brake pedal! I’m left wondering why so many people don’t know what speed they are doing! I don’t know about you, but I make it a priority to know how fast I am driving and it is my goal to always obey the speed limits, not because speed limits have some magic ability to make me safe; plenty of nasty accidents happen below the speed limit, but because in a past life I half filled a scrap book with speeding tickets and eventually decided that maybe I should save myself some grief and just obey the law! That decision was good for my bank balance and probably was evidence that I was beginning to grow up! When you are driving, if you are not paying attention to your speed then you are just asking for trouble. And if you don’t know what the speed limit is you are really out on a limb! I got booked last year for the first time since 1985 for doing 72 in what I thought was an 80 zone, but it turned out to be a 60 zone! I knew how fast I was going, but I was relying on faulty information to keep me on the right side of the law. How can you obey the speed limit if you don’t know what it is? To make life easier I use my cruise control wherever possible so I can just set the speed and then focus on more important driving issues such as watching the road instead of my speedometer, navigating, negotiating corners, staying in my lane and dealing with other vehicles. And of course using cruise control requires that I know the speed limit! I guess you must be wondering what the heck this has got to do with my usual topic of being successful with money! 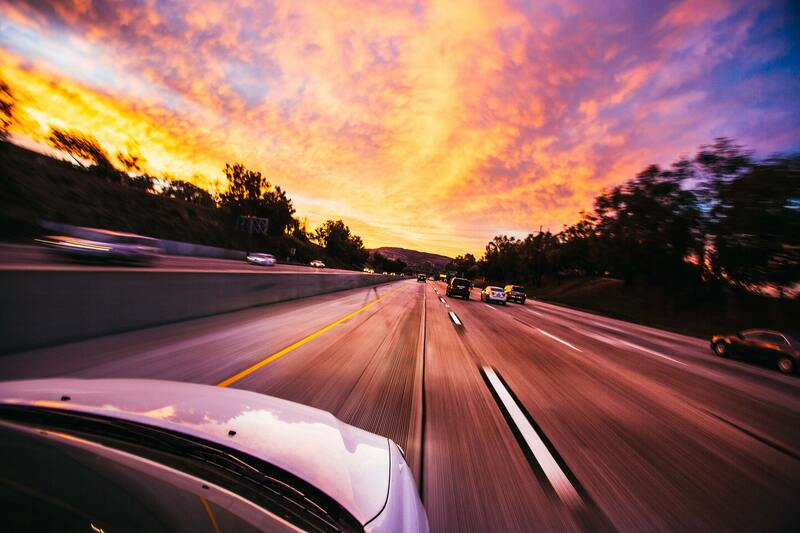 So here’s the link… Ask yourself if you treat your finances like the drivers not paying attention to their speed who are forever hitting the brake pedal when potential trouble appears on the horizon. Are you actually IN the driver’s seat and alert to what is going on with your finances or are you just holding the wheel going along for the ride, hoping nothing will come along to catch you out, and always a bit nervous about what might be lurking just around the corner? If you are not really in charge and aware of what is going on around you, you will be travelling with less confidence and more stress than is necessary and putting a lot more emotional energy into money matters than you need to be. You will be worrying that something might happen that you won’t be able to deal with or bills arriving that you won’t be able to pay. Maybe you’ll be thinking you won’t get to have that holiday you want because unexpected bills could leave you broke (yet again) or maybe you’ll never even think of planning a holiday because it seems like it is just not possible (when maybe it is!). And not knowing what your bank balance should be today, tomorrow, next week and beyond is like not even knowing the speed limit. How can you possibly get it right when you don’t know what right is? You’ll be hitting the brakes when you don’t need to and you’ll be left behind by those who know what they are doing and what the limit is. You may even get charged overdrawn or late fees when you thought you were doing OK but got caught out when you found you were unable to meet your commitments when they were due! If you spend no time at all on your finances you are like the driver who just goes flat out all the time and who is definitely going to come unstuck sooner or later. If you’re like the motoring enthusiast who is forever under the bonnet trying to improve the performance of his car but as the power increases so has the fuel consumption (and the number of speeding fines). You’re gonna be frustrated to find that more income does not necessarily mean less money stress and more of what you want out of life! And, if you spend heaps of time trying to manage your finances with no real improvement coming from the effort you put in, then you are going to the wrong driving school! By developing and following a Spending Plan you will be like a driver using Cruise Control and a GPS combined! You do not want to be forever ‘hitting the skids’ and taking wrong turns with your day to day finances. If this is you, I want you to know it is very simple and easy to break this cycle. You can never get to creating wealth if you can’t get the day to day financial foundations right first, so that is where you should start! On the other hand, if you already have a Spending Plan, your finances are travelling along nicely and you know what I’m talking about, you may be interested in joining the Spending Planner team. If you would like to feel the satisfaction of helping someone else turn their life around and create your own business in the process you might want to consider becoming a Spending Planner too.